In alignment with all four regions plus the Wales U20 programme – the latter now overseen by former sevens head coach Gareth Williams – players such as Ryan Conbeer (Scarlets, pictured), Taine Basham (Dragons), Dane Blacker (Cardiff Blues) and Dewi Cross (Ospreys) will feature in selected tournaments throughout the season. Pugh says that having a 24-man squad will ensure there is a drive for competition as Wales compete on the world’s premier rugby sevens circuit. “There’s a fresh look to the squad and a lot of excitement for the series ahead,” says Pugh, a World Cup Sevens winner in 2009. “We’ve got over 20 players all pushing each other over three weeks, driving standards. The sevens has a strong track record in developing future international players. 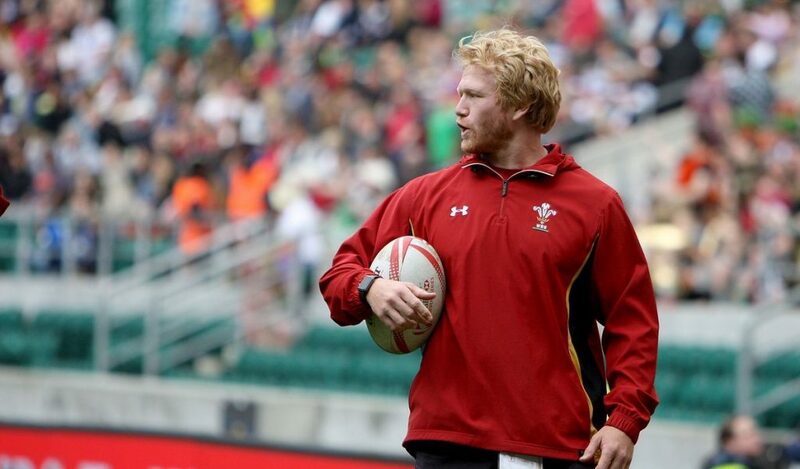 Most recently, two core sevens players have been selected in Warren Gatland’s autumn series squads. Luke Morgan is the latest, Wales Sevens’ top try-scorer having impressed during his time with Ospreys this year, following in the footsteps of current regional teammate Sam Cross, who was capped in last season’s Under Armour Series. Core Players: Afon Bagshaw, Cai Devine, Joe Jenkins, Owen Jenkins, Jay Jones, Ben Roach, Luke Treharne, Mike Wilson. Cardiff Blues: Dane Blacker, Corey Howells, Ben Jones, Dafydd Smith. Dragons: Taine Basham, George Gasson, Joe Goodchild, Will Talbot-Davies. Ospreys: Callum Carson, Dewi Cross, Dylan Moss, Reuben Morgan-Williams. Scarlets: Corey Baldwin, Ryan Conbeer, Dan Davis, Tomi Lewis.